I’ve opened the doors and invited you to come on a behind the scenes tour this Monday as I join in the Virtual Blog Tour. Joanne from “Mum… how much longer?” invited me to take part in this tour. Do yourself a favour and head on over to Joanne’s blog. Her posts are quirky and fun insights into her life and accompanied by her lovely photos. One of the things that I enjoy about blogging is meeting people from all over the world and in some cases striking up a real friendship. Joanne is one of these people whom I count in my blogging friendship group and I love that we share a few things in common. From both being Australian’s who have traveled and now reside on the other side of the world (Joanne now resides in Canada), to our love of our mountain view from our kitchen window. Check out these posts of Joanne’s for some of her beautiful photos of her magnificent mountain view. 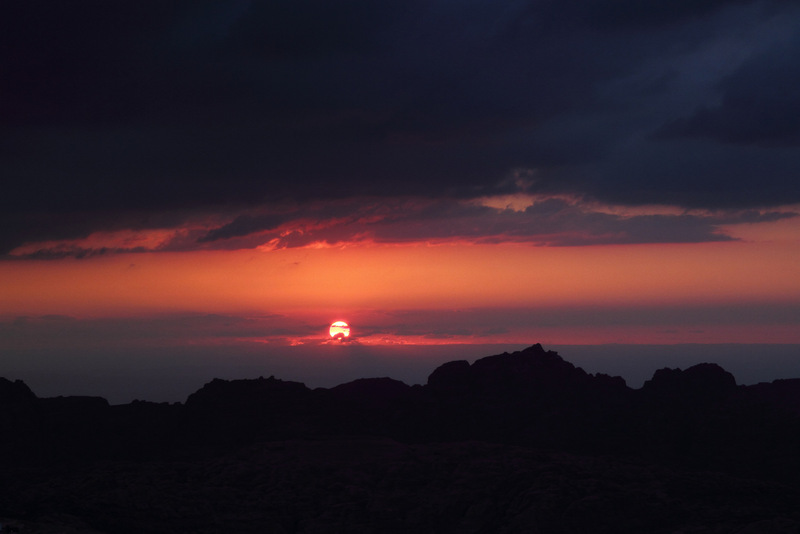 And I’ll never tire of watching the sunset over the Petra Mountains from my balcony. The Virtual Blog Tour is an opportunity to get to know the process behind the blogging and what makes the blogger tick. I was more than happy to take part and answer the four questions as in turn I have been able to ask some fellow bloggers to take part and learn more about them. Too many ideas and not enough time in the day (and more often of late lack of motivation) to write about them and turn them into published blog posts. Before I even started this blog I used to write a list of topics/situations/funny moments of life in Jordan so that I would remember them when talking to friends and family. That list is ongoing and I am constantly adding to it with blog post ideas that I would like to write and share with you all. At the moment I’m also working on improving my photography skills as I’m very much a visual person and the photos are a key component of my blog. I’ve participated in a couple of online courses and practicing the skills learnt from these courses are taking up pretty much any spare time that I do have and not leaving a lot of time for writing. But don’t worry I’m working on getting back into a routine of regular posts with hopefully better photos to go along with them. All the practicing of photography skills has also given me a few months worth of photos that are now waiting for words to be written around them. I have a few posts in draft at the moment so they will be coming your way soon. I have found it hard to answer this question so I enlisted the help of a couple of friends. I struggled with answering it because I read some amazing blogs from some very talented writers who are expats living in foreign countries and they are doing amazing things. Therefore I didn’t think that my work differs from others in it’s genre, in fact I honestly think that it pales in comparison. So I asked some friends a couple of questions such as why do they enjoy reading my blog and what is it about my blog that stands out for them. The answer that can back was that I’m honest. I write about my life and situations with integrity and honesty to provide people with the full story. People answered that the words, along with the photos that accompany those words, have the ability to transport the reader into a small piece of my life. The other thing that people felt made my blog different from other expat blogs is that I’m married to a local and therefore whether I like it or not I’m fully immersed into local life which gives my blog a unique perspective on Jordanian life, culture and customs. This is different from other expats who are living in foreign countries but are there with their expat spouse/partner or by themselves and although involved with locals and local life don’t get the full immersion treatment that I do. 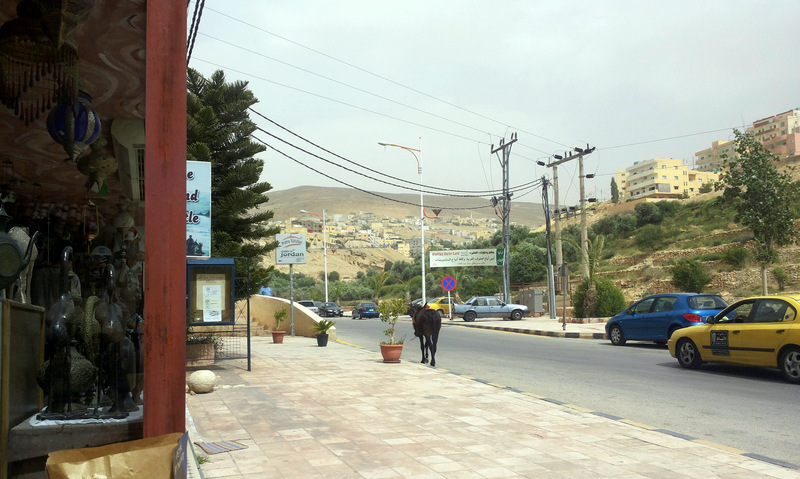 I get to experience the Jordanian life that goes on behind closed doors. I write to share my life in Jordan with my friends and family. Blogging means that I can reach a wide audience in one go and they can read the post in their own time. I find writing therapeutic and a great way to empty my head of the thoughts that go around and around. I find it is a way to be able to capture how I’m feeling and have an outlet for all the differences (good, funny, everyday and frustrating), that I face in my life here in Jordan. I’m a visual person so the photos that go with the story are an important part of the writing process. Either I start with photos that I’ve taken and put the words around them, or working from my blog post idea list I write up the story and then set about getting the photos to finish it off. So many times a blog post is waiting forme to be in the right place at the right time, and with my camera ready, to be able to capture the photo to complete them. You have no idea how many times I have missed the perfect photo that really tells the story! I’ve been living in Jordan now for 4 1/2 year and being able to refer to my list of stories that I want to tell has been a great way to remind myself that even as situations become my new “normal”, they will certainly be very different for my readers and are worthy of sharing. Even with becoming accustomed to many of the difference there are some things that will never be “normal” for me and will always amuse me. A random donkey walking down the main street of town will always get a giggle from me! Also for every post that I publish there is often another one that is written and will stay in draft for a considerable length of time due to the sensitivity or personal nature of the topic that I’ve written about. As I mentioned above writing is a way to empty my head of the thoughts and vent about the frustrations I encounter with living in a foreign culture. The process with these posts is they take several reworkings and lots of time to pass in order to remove the rawness of the emotion behind the story in order for them to be ready to be published. Let’s just say that not enough time has passed for most of these draft posts! Now that I’ve answered these four questions and hopefully given you a bit of a look behind the scenes of my blog it’s my turn to pass this virtual blog tour on. I have asked a couple of bloggers who’s blogs not only do I love reading and therefore would like to share with my readers, but also whom I’m interested to learn more about their blogging process as their blogs truly inspire me. Azita is the wonderfully talented and creative person behind the blog Fig and Quince, sharing all things Persian food and culture. Her beautiful pictures, delicious recipes and cultural insights has meant that travelling to Iran is high on my list of things I want to do. For the time being I have to be content to travel vicariously via Azita’s blog. I encourage everyone to head on over to her blog and you will come away with taste buds watering and your fascination for Iran sparked. Azita’s post for the virtual blog tour will be published on the 28th August as she has a heavy work load on and I really appreciate that she has still agreed to take part of the tour. Wandering Cows is one of my favourite blogs to read for the “post”-cards from near and far places. The snapshots of travel and life are presented in a way that just makes you smile. Stunning photos and descriptive writing that captivates your imagination are a hallmark of this blog and why I always look forward to a new blog post. You never know which corner of the world will be presented next, but you do know that the post will transport you there and wish that you had a endless travel budget. I can’t wait to read more about the blogging process in Wandering Cows virtual blog tour on the 11th August. Hey, looking forward to see more photos of Jordan including historic sites, foods, pics of the city/country. What I started to do lately is post at least once a week. I find a few hours per week, edit the pictures and upload. Good luck! I love your blog and loved the behind the scenes glimpse! Lucky you and Joanna and the mountain view from the kitchen. We had a mountain view from my childhood kitchen in Iran and just the thought of it is a nutshell of longing for me. Thank you for superlative (and exaggerated) compliments, ha ha, I’ll take it, and I”m going to motivate and deliver by the 28th.